RX for Reading distributes a lot of picture books and early readers, but reading is a lifelong activity! 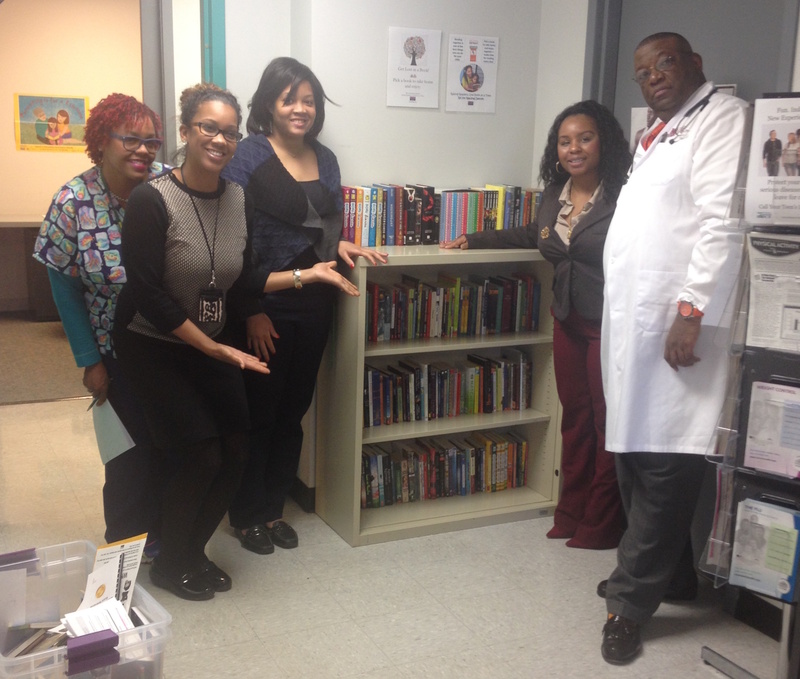 It was especially fun to put together the RX for Reading Library at the Healthy Teens Community Care Center on Martin Luther King Jr. Blvd. From Louise Erdrich to Lois Lowry, Twilight to The Hunger Games, we hope the teens at HTC3 find plenty of books for their reading pleasure! The mission of the DCHC Healthy Teen Center is to provide community-based primary and mental health care services, health education, information on preventive and safety behaviors to youth aged 10-21 and up to age 26 for individuals with special needs; to offer a multifaceted array of services that will be accessible and available, confidential, culturally sensitive and age-appropriate with comprehensive health care planning; to promote awareness and involvement with healthy lifestyle choices and encourage youth to take responsibility for the care of their health; to provide counseling and peer-group involvement to deter them from unhealthy behaviors, and to expose youth to health care as a career choice. Thanks for including RX for Reading Detroit in the incredible work you do for teens in our community! ← The Core of STEM is Reading!